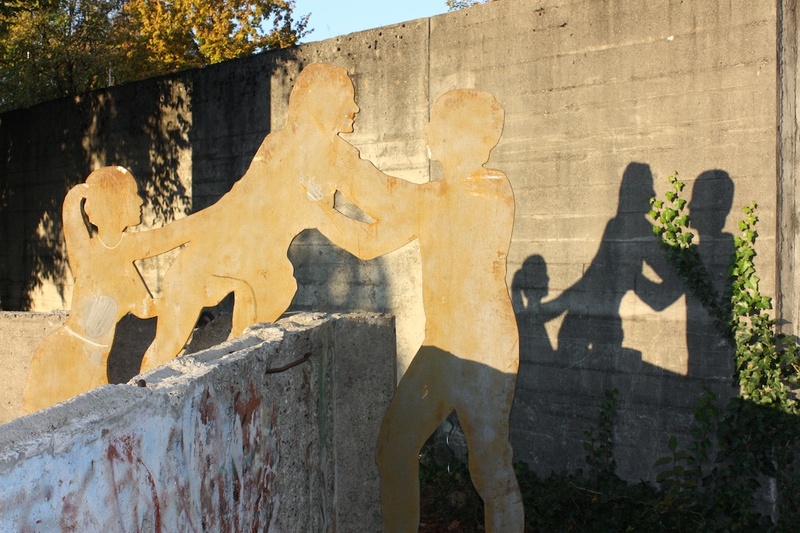 In November 1997 two segments of the Berlin Wall were set up on the schoolyard of the Gymnasium Grafing as historical artefact. The segments were a donation by Christian Kilger, who graduated from this school years before. After the Fall of the Wall, Kilger was involved in the dismanteling of the border fortifications as employee of a demolition firm. The transport of the segmenst was supported by the school association. In 2012, the segments were enhanced with a sculpture and an information plaque. This new memorial shall remind all current and future pupils on a period of German history.